Certain soils - Clay soils are particularly vulnerable to subsidence since they shrink and swell depending on their moisture content. 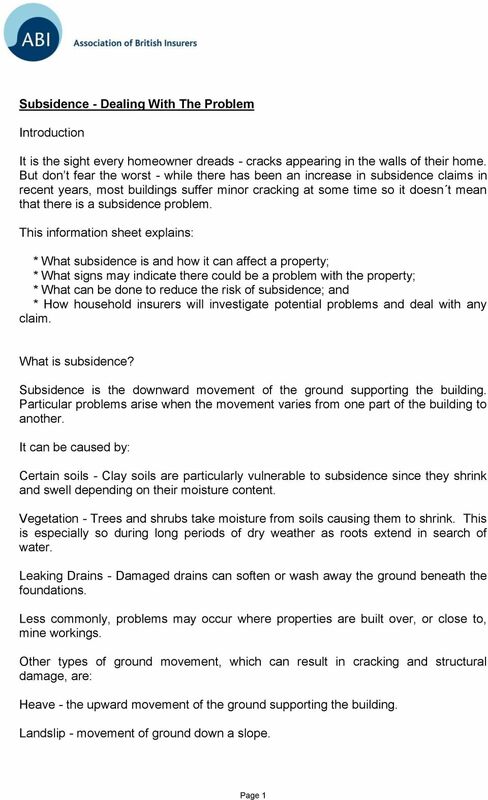 Download "Certain soils - Clay soils are particularly vulnerable to subsidence since they shrink and swell depending on their moisture content." Ground movement claims. Your claim - what happens next? 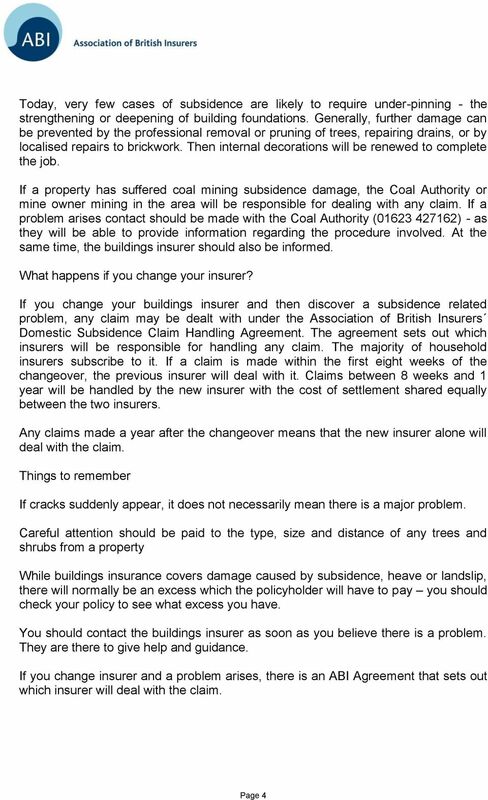 HOME INSURANCE SUBSIDENCE & UNDERPINNING INTRODUCTION If your home (or a property you are looking to buy) has previously been affected by subsidence you may be finding it difficult to obtain home insurance. 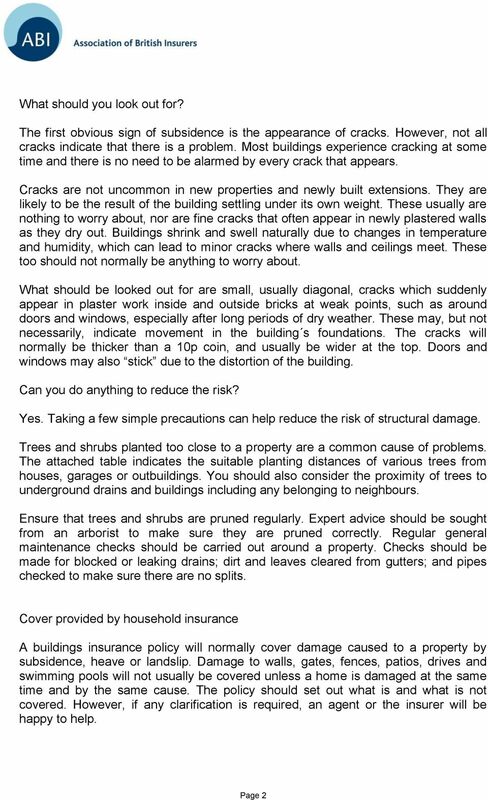 Home Insurance Questionnaire Republic of Ireland Home Insurance Policy Questionnaire There are conditions, limitations, exclusions and excesses within the wording, a copy of which will be provided on request. INSURANCE PROPOSAL FORM NOTE: Please fill in this form carefully. We will use the information you give on this form to decide whether we can insure you and to decide the premium and the conditions of insurance. 7 Crucial Questions to Ask Before Repairing Your Home s Foundation A free report to help you understand your home s foundation and the foundation repair process 1 How can I tell if I have foundation damage? P A L L A D I U M H o m e I n s u r a n c e P r o p o s a l F o r m P R O V I D I N G P E A C E O F M I N D The Proposer You must take reasonable care to provide complete and accurate answers to all questions. What do I need to know about Home Insurance? What are the Cover Assumptions? What is the policy excess? Siting and settlement: The most important way to protect shelter from floods is to build in a place that is unlikely to be flooded. THE SIGNIFIGANCE OF CRACKS IN LOW-RISE BUILDINGS. 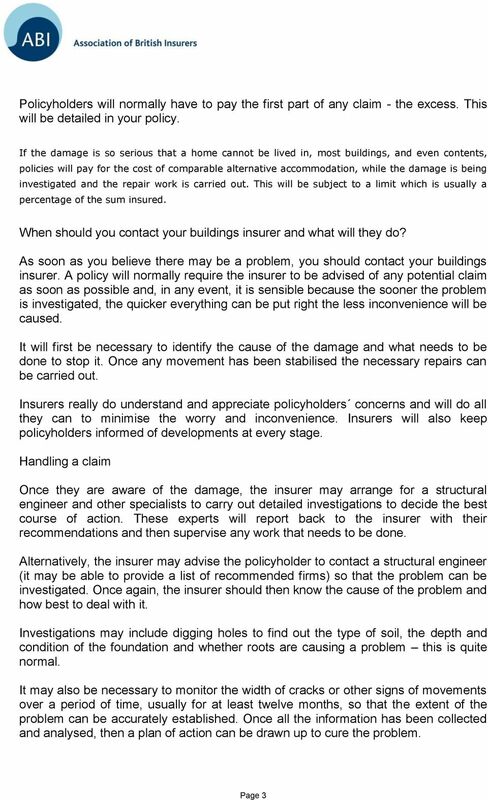 Westpac Home, Contents and Vehicle Insurance Frequently asked questions: I have already made a claim for damage; if my property suffers additional damage from another aftershock do I need to claim again? Improvements are also an investment producing a better place to live and very often increase the value of a property.